Registering a domain name is the first step towards your online journey. If you are confused about the best domain registrar you should go for, I’m here to help. In this article, I’ll be telling you about the top 10 best domain name registrar in 2019. For the novice, who is not a tech-savvy, selecting the best domain registrar is no less than a rocket science. And that’s pretty obvious! When there are hundreds of domain registrar companies out there and all of them are claiming to the best, selecting the best is a real hurdle. But since we are here, there is no need to be confused about. After a rigorous research, I’ve selected the top 10 best domain name registrar companies you can trust upon and use to register your domain name at a reasonable price. But before we move further to check out the best domain name registrars, let’s first check out what qualities we should consider in a domain registrar company before taking its services. How to Select the Best Domain Name for You? There are some features which the best domain registrar must have. Some of those features are given below. So before finalizing any domain name registrar for you, consider the below-given qualities and go for the best one! Make sure the Domain Registrar you are going for is ICANN accredited. ICANN (Internet Corporation for Assigned Names and Numbers) is an organization which is responsible for managing all the domain names all over the Internet. If your domain Registrar is not registered through ICANN, probably you are being cheated on the name of a domain registrar company! The second and the most important feature you should be looking into is the Customer service. Best domain registrars have the 24/7 active customer support available through various mediums like live chat, email, phone etc. Pricing and renewal rates! Always check if the Domain name registrar you are going for is budget friendly to you or not. Also, domain name renewal charges must be checked. Some companies charge extremely high domain renewal charges. Stay away from such companies. Do check the policy of domain name transfer. Because many times we need to transfer the domain name from one registrar to another. And at that time, we get to know about the company’s hidden policies like additional charge and the time taken for domain transfer. The last and yet another very important factor is the Reputation of the domain registrar. Do check if the company you are going for has a reputation in the market. Also, read the experience of the existing users with that company! If you consider all these points carefully, probably you won’t ever face any issues in future. Now let’s move further to check out the list of top 10 best domain registrar. Now that you know how to select the best domain name registrar company, I guess you can easily search for one on the Internet! But since there are so many domain registrars available out there, it’s not an easy task to check the features of all the domain registrar individually and select the best one. So to ease your work, I’ve done that research part and compiled a list of top 10 best domain registrar companies on the Internet. In the end of the article, you will never ask in life “where should I buy my domain name”. Because this quick domain registrar reviews will help you select the best place to buy domain name. So let’s get started with the top 10 best domain registrar 2019 where you can rely upon for buying domain names! Godaddy is one of biggest names in the domain name Industry. It’s one of the fastest growing domain name registrars which hold as large as 30% shares of all the booked domain names online. There are lots of the features offered by Godaddy which makes it one of the most popular domain registrar in the industry! There are over 17 million customers that trusts GoDaddy and over 71 million domains are registered with Godaddy. From reasonable price to highest security, and all almost all range of TLD domains, Godaddy offers all the basic and advanced features that we want to see in our domain registrar. Besides, Godaddy also offers hosting service. Apart from domain registration and hosting service, Godaddy also offers logo designs and website designing services. So in all, buying the domain and running a full-fledged website, everything can be done on Godaddy without any hassle. Namecheap is yet another best domain registrar in the industry. As the name suggests, Namecheap offers domain name registration on the cheap rates. Besides, you also get Privacy protection at no cost. Namecheap has over 1 million existing customers and the number is rapidly increasing. Like Godaddy, Namecheap also offers services for hosting and managing domains. Besides, the interface of Namecheap is also very seamless. Good customer support, no up-sells, and high-range of LTDs are some other key features in the list! If you are a newbie and not feeling confident about the process of the registering domain and the pricing, go for Namecheap. Trust me, it’s worth giving a try! Domain.com was founded in the year 2000 and since then, it’s been wildly popular domain name registrar organization with over millions of active users. Domain.com offers not just domain registration but several other services like web hosting, VPS hosting, Email, SSL certificates, web design etc. And certainly, the list of service offered by domain.com is very long. Registering a domain on domain.com is extremely budget friendly. If you register your domain on domain.com, you get many free services like URL Forwarding, Email Forwarding, Transfer Lock, Total DNS Management and more. All in all, Domain.com aids you in not just registering your domain name. There is everything offered by this registrar that you need to run your online business successfully! If none of the above domain registrars have satisfied you so far, I’m sure 1&1 will not fail to do that! It’s one of the very popular domain registrars out there with a very strong customer base. The best part?? 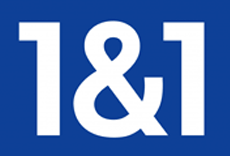 the best thing about 1&1 is the free 1-year hosting. Yes, you heard me right. While booking your domain on 1&1, you get 1-year free hosting for running and managing your website for free. 24/7 customer support, Advanced DNS management, A wide variety of domains, including new domain extensions, 1 email account with 2GB mailbox space & unlimited email forwarding are some other key features in the list! There are several other features offered by 1&1 one of the very popular domain registrars. You can check all these features on the 1&1 official website! Register.com is the next leading online domain registration corporation which offers affordable domain name registration. They are there in the industry for about 15 years and over 2 million domain names are registered under Register.com. Registering domain on Register.com is extremely smooth and it hardly takes more than a few minutes to get it done. Besides, Register.com is also known for its award winning customer support. Register.com offers all the services you want in your best domain registrar. register.com provide a wide range of domains ranging from .com, .in, .edu to country specific domains. Besides, you can also register some rare domains like .xyz, .club, .now etc with Register.com. Register.com offers a wide range of services like Who.is protection, Domain expiration protection, SSL certificates etc on affordable price. Name.com is a popular domain registration firm which is preferred by several users for registering their domains online. The features of name.com include free SSL, separate email services, good customer support, Domain Nabber services to search for expired domains etc. I don’t claim that Name.com is the cheapest domain registrar company on the Internet. In fact, they indeed have their own pricing modules for the domain transfer, who.is privacy protection etc. But this company is reliable and have a good reputation in the market. So if you want to have your online presence, or if you are willing to start your business online by building a website, you can consider name.com as your preferred domain name registrar! With over 11 million domains registered under Enom, it’s one of the leading domain registrars across the web. On the basis of the number of the registered domain, Enom is not far behind GoDaddy and it holds about 3.6 shares of registered domain over the Internet. Enom’s interface is user-friendly. Even if you are not a tech-savvy, you can easily register your domain with Enom. Besides, it’s also budget friendly and is considered to be truly reliable when it comes to booking a domain name online. Moreover, Enom also offers easy integration interface with most of the Internet services. Enom also offers SSL certificates facility and seamless Domain transfers. In the nutshell, Enom has everything that makes it one of the top domain registrars in the industry and I don’t wonder why 11 million people trust Enom for their online needs. 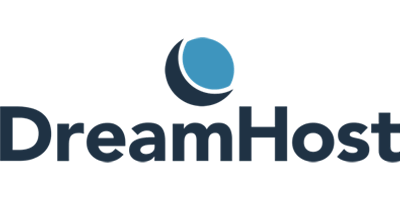 DreamHost is a very well known ICANN-accredited company and one of the top players in domain registration and hosting industry. Dreamhost provides most of the classic TLDs at an affordable price. Besides, DreamHost also offers free WHOIS privacy package. DreamHost is an all-in-one solution for all your online business needs. The domain booking is just one of the services that DreamHost offer. Apart from domain booking, DreamHost is known mainly as a hosting company. DreamHost is highly trustable and very popular website building and domain registration platform which you can also consider as your best domain registrar. To know more about their hosting and domain registration plans, you can visit its official website given above. The next up we have is Namesilo. It’s yet another one of the cheapest domain name registrar with all the necessary features. 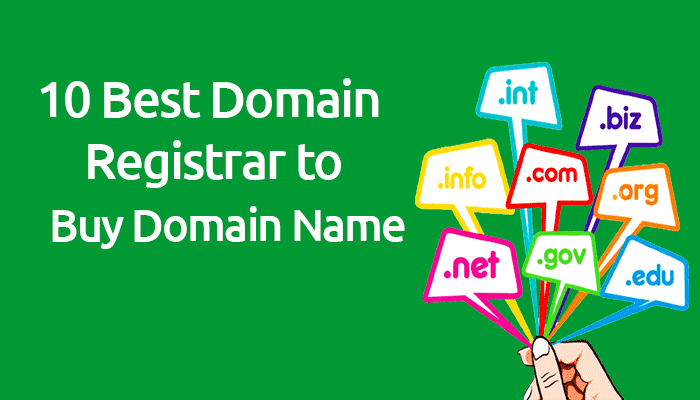 Namesilo boasts all the qualities of the best domain registrar. The cheapest rates, simple integration, free lifetime whois privacy, least renewal fees and so forth. Besides, one feature that sets Namesilo part is the free domain parking facility. 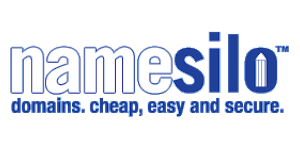 If you have a premium domain which you are willing to sell, Namesilo helps you do that. It allows you to showcase your domain for free on their website and doesn’t take any share of the selling price! Besides, Namesilo has a very clear and visible pricing structure. Where most of the companies ask additional service charge on domain renewal, domain transfer charge etc, Namesilo doesn’t ask for any such hidden fees. iPage is not exclusively a domain registrar company but a hosting service provider. I won’t say it’s the best domain registrar company ever, but you can give it a try! iPage is a popular name in the industry and providing its services since 1998, so there is no trust issue at all. Besides, they are also known to offer good customer support. So, if you haven’t found your best domain registrar so far, you can give iPage a try. However, it might seem a little costly to some people, but if you have got money in your pocket and want to go for a stable domain registrar, you might find iPage suitable. Beside these domain name registrars, there are so many other best domain sites like best Enom, Google Domains, Iwantmyname and several more. Besides, big hosting providers companies like Bluehost and HostGator also offers domain registrations services. So choose the best domain registrar wisely else you might face trouble later! Along with the domain registrar, you should also take some care while selecting the domain name. So, here goes some bonus tips that you can consider to select the best domain names! Come up with a unique yet memorable name. Just don’t select a random name as your domain but make sure the name you are going for has something to do with the content you are about to provide on your website! Avoid using the numbers and special characters in your domain name. avoid using the long domain names. Try to go for the .com domain name extension. Because .com domain name is memorable yet have more trust ratio! So these were some of the quick tips to consider while selecting a domain name for your brand! On this note, we have reached the end of the article. Buying a domain name online is not a rocket science! In fact, once you have decided the best domain registrar you should go for and you have picked an appealing domain name for you, it’s just a matter of few clicks! If that domain name is available, you can book that name on any of the domain booking sites mentioned above and start your online journey! So in the nutshell, the best domain registrar is one which is ICANN registered, have no hidden fees and offers privacy without any additional fees. Also, the company must have the reputation in the market. After getting to know about these domain name providers, I guess now you exactly know where to buy domain names! Right? But if you still have any doubts regarding domain registration, you can ask me in the comment section below. And if you know any better place to register a domain name which I’ve forgotten to mention in the list, tell that too! I’ll be happy to add that to my list! Godaddy is an amazing hosting and domain provider. And I have used the others like Namecheap and 1and1 hosting. But didn’t got a chance to try the other. But I will keep this mind. It is eye opener post. In my profession of Web Development and creation of on-line E-commerce stores , I have faced lot of problems specially related to domain transfer from one registrar to another. Also, I have experienced problems with renewals and mail services. So far my experience with Godaddy is best. Rightly , you have placed it as the number one registrar. Once again , so many thanks for doing thorough research on the most critical aspect in Website Development which is often ignored by clients as well as developers. Nice post, well I have used GoDaddy and NameCheap so far. As we all know GoDaddy is top among all the domain registrars. The best part about GoDaddy is we can grab 99 domains easily. Thanx for sharing this but i would suggest all to stay away from godaddy they just lock your domain without any proper communication and the support is the worst. They just tell you different things whenever you call them. I have lost 2 domains due to them so think before buying from them is you want your website for a long time. Definitely among the top Domain Registrars. I have domains with Go Daddy, BlueHost, Namecheap, Coolhandle and HostZilla. But I must be honest and admit I do like BlueHost best. Nice post ahead, I have used GoDaddy so far. As we all know GoDaddy is top among all the domain registrars. The best part about GoDaddy is we can give 99 domains easily.